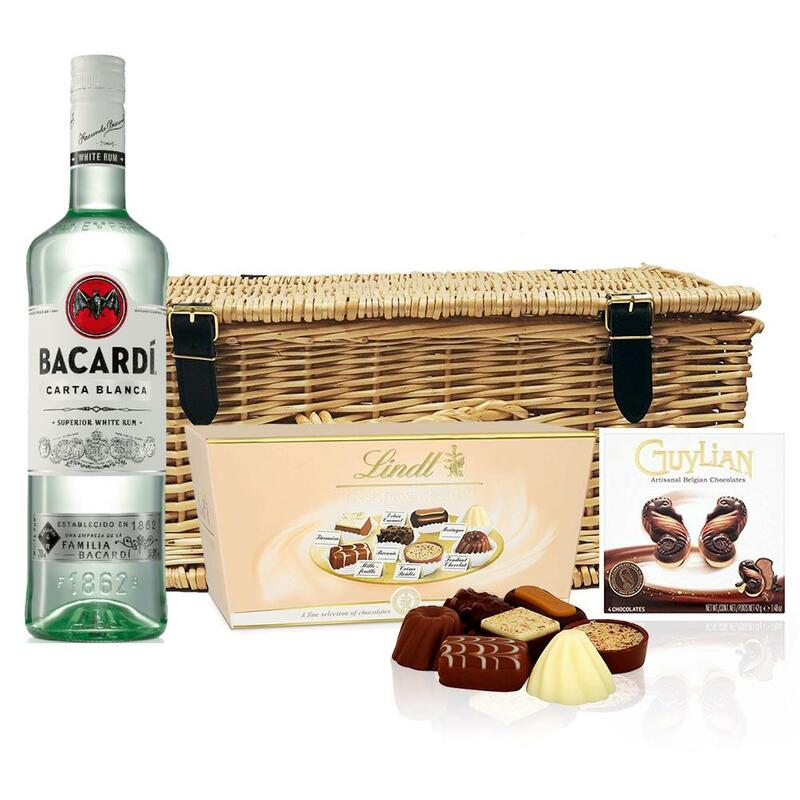 A delightful gift of Bacardi Superior Rum 70cl along with a box of Hamlet Belgian Chocolate Truffles (35g) and Belgid'Or Fine Belgin Chocolates (175g) all packed in a wicker hamper with leather straps lined with wood wool. All gifts come with a gift card with a message of your choice. Bacardi's original, the Superior is a highly versatile white Rum which has been around since 1862. 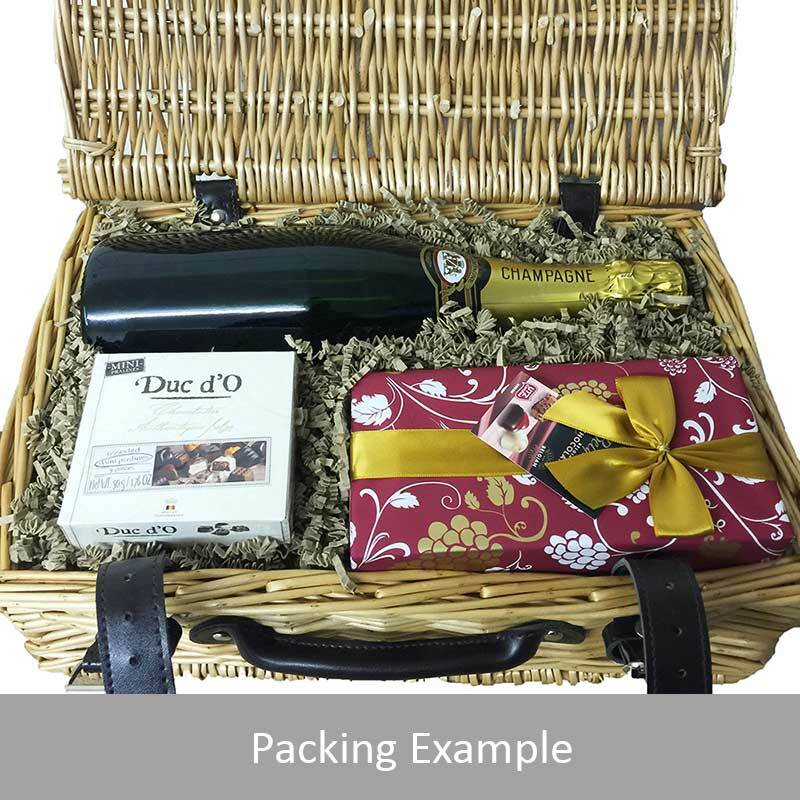 Aged in oak barrels, look out for the smooth taste and the almond and tropical fruit aroma.